Dating safety shouldn’t be taken lightly, everyone should consider their safety when trying to find love online. Most online dating websites claim to have hundreds of thousands of users, sometimes millions, signed up to their site, but in reality, many members are inactive or not on the receiving end of your messages and emails. Here at Findmeyou we pride ourselves on honesty. If a user’s membership has ended or they are inactive they will be contacted to either reinstate their membership or delete their account. This will give confidence to our members that people using our services can be contacted, and if they have an account, this means they are live on our system. If people don’t get a response, at least they will know the reason and not because the person doesn’t exist. Photos you choose to upload to your profile (keeping safety in mind) should be ones that haven’t been used elsewhere on the internet, for example, there are a number of ways your online dating profile can be connected to your real identity, especially if you have a robust online lifestyle. Photos are a particular vulnerability. Before uploading a photo, consider whether you’ve used it in other contexts such as social networks. Try searching for the image using TinEye and Google Image Search before uploading it. If you’ve already used it, use a different one. There are many forms of dating fraud. Many profiles are created by bogus scammers who try to catch you out, grooming you for weeks, even months. Online dating scams have become such a serious issue that the FBI has released a press release to help people looking for love. Scammers often create online profiles, pretending to have interest and feelings for other members. Once they have gained your trust they ask for money for a variety of different reasons. Sadly, many fall for this each year resulting in millions of pounds being lost to these scammers. So, how do you prepare yourself for these people? In this section, we will expose some of the online scams and look at what lengths these people will go to in order to fool you. Being aware will give you the best chance of fighting against scammers, resulting in an all round better online dating experience, see dating examples. 1) You have developed a relationship online based solely on emails or text messages, phone calls or video options are turned down. 2) Your prospective love looks perfect in photos (super model) standard and doesn’t have many photos to share. 3) They ask you many questions but don’t tell you much about their selves. 4) They may call you by endearing names, such as darling or sweetheart (this may be a sign that you’re in conversation with a fake profile or online robot). 5) They quickly want to move your communication to private emails and texts, away from the dating site. 6) They avoid answering personal questions about their age, where they work or live. 7) Communication is vague, or hard to understand and often repeated. 8) Responses are very quick when emailing or messaging these people, with no discussion as to the time you will be online. 9) Email messages may change in tone, language, style or grammar during conversations. 10) A sob story is gradually brought in that changes from an annoyance into an emergency overnight. 11) Claims to be working overseas and stranded or needs money. 12) Claims to be in the armed forces, claiming they need money or support. 13) Makes plans to visit you, but is unable to because of a tragic event, and maybe needs money in order to keep the appointment. 14) Requests money for travel, medical emergencies, hotel bills, hospital bills, for a child or sick relative, visas or official documents in order to visit, crime victim, all these excuses can and should be checked. 15) The person may say they live local and seem very interested supplying you with compliments. All of these examples, and many more new ways to deceive people are ruining daters’ experiences and chances of finding love, every day. Some sites estimate that one in ten profiles have a potential scammer behind them! If you experience or fall into the trap of online scammers here’s how to report a scam. There are side effects to being scammed, you can lose a lot of money and the emotional scars can stay with you and even put you off dating forever. The stories or the ways they try to fool you might vary, but the goal remains the same – to get their hands on your money. If someone asks you to send money, no matter what the reason, no matter how plausible it sounds. DO NOT SEND MONEY, EVER!! Once the fraudsters are confident you feel sympathy and have feelings for them, the problems, or their dire situations, will flood in, giving you some of the sob stories or excuses mentioned above. Once you send them money, they will often come back for more, with different reasons to send more, and more. If you are a victim of online scams the side effects can be long-term, destroy your self-confidence, and trust in future relationships can become an issue. Most people are left scarred, not wanting to entertain online dating again, which is a real shame. Online dating, if used correctly, can be so rewarding, fun and end in matching you with someone special, but because of greedy fraudsters people do suffer, people do get sucked in! Always trust your instincts. If you have to question things or feel it’s wrong, then it probably is! Ask a friend or family member to check their profile if you notice any of the concerns in this section. Guard your privacy, don’t give out any bank card details, passwords or address. Try to communicate with people locally not from overseas and if you do contact someone from overseas then request a face-to-face video date. If someone says they are living in your country, test them on local knowledge. Never transfer your communication to email exclusively (outside of your dating site). DON’T EVER SEND ANY MONEY! You are dating, why would you ever need to send anyone money? · Do not send any more money! If you are affected by online dating scams then please follow these five things first. Read all the advice in this section and our dating scam examples. Read and remember this advice when using our website and you will stand a better chance of escaping online dating scams. 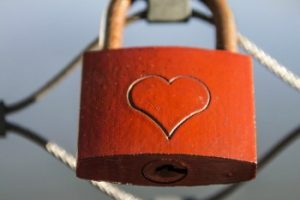 Although scammers are finding new ways every day to con people out of money, this advice will help protect you when using Findmeyou or other dating sites. We will always update our safety advice and report on new techniques scammers try to use. Be vigilant, and aware that not everyone is honest. If you have a concern about anyone on our dating site you can see if they show up on www.sweetheartchecks.com. This website lets you enter the name and a few basic details to see if they show up as an online scammer, a sexual predator and whether they are genuine.